"The Racialization of Islam in the United States: Islamophobia, Hate Crimes and 'Flying While Brown'" is published in the journal Religions. 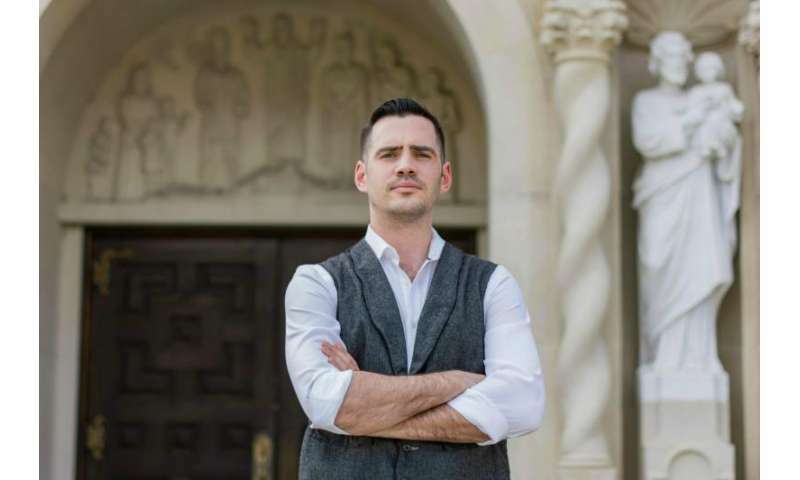 Author Craig Considine, a lecturer in sociology at Rice, reviewed more than 40 news articles and referenced dozens of academic studies relating to the experiences of American Muslims and the stereotypical depictions of Muslims. His analysis revealed several findings from the various articles and research papers that support his argument that racism is a symbolic form of Islamophobia, which has been misrepresented as a form of religious bias that oppresses U.S. Muslims on the grounds that Islam is nefarious and antithetical to American values. "We often hear that because Muslims are not a race, people cannot be racist for attacking Muslims," Considine said. "This argument does not stack up. It is a simplistic way of thinking that overlooks the role that race plays in Islamophobic hate crimes." "Despite the racial, ethnic and cultural diversity of the U.S. Muslim population, they continue to be cast as potentially threatening persons based on perceived racial and cultural characteristics," Considine said. He also said the racially motivated incidents of hate crime examined in this paper – including one incident where a Sikh in Mesa, Ariz., was shot and killed in the days following Sept. 11 by a man who said he wanted to "kill a Muslim" in retaliation for the terrorist attacks – suggest that Islamophobia does not belong in the realm of "rational" criticism of Islam or Muslims. In this situation, the perpetrator confused the man's beard and turban as a representation of Islam, and effectively used his "race" to categorize and ultimately harm him in the worst way imaginable, Considine said. "This incident and other incidents referenced in the paper are examples of how Muslims have been racialized and thus subjected to a kind of racism," he said. "This has led to U.S. citizens getting an idea of who the so-called 'bad guys' are and acting based on this knowledge. Taking a 'colorblind' understanding of Islamophobia – that is, to dismiss the role that race plays in anti-Muslim racism – legitimizes certain racialized practices and maintains inequalities such as racial profiling at airports, police brutality, housing and job discrimination and voter disenfranchisement." "We would be misguided to dismiss the role that race plays in incidents where Muslims and non-Muslims are targeted due to stereotypes of 'Muslim identity,'" he said. "This identity, insofar as the American context goes, appears to be weighted with racial meanings." if you spread hatred, intolerance and violence, you cant expect anything different back. wahhabism is the problem but the other muslims must not enable this . Someone shooting a Sikh thinking he was a Muslim proves that this kind of intolerance is rooted in ignorance. Published in the journal Religions-- pretty much says it all. By the way, didn't the Arab/Muslim world spend 30 years agitating to force the UN to call Zionism racism? Yet it is the express goal of many Arab/Muslim governments to wipe Israel off the map and kill a lot of westerners while re-taking every inch of territory in Europe they lost 500 years ago. Sounds like a whole lot of racism to me and grounds for plenty of "phobia" from their intended victims/subjects. Submission. Doesn't exactly roll off the tongue does it?